I am confused on how to sign into the chat room, I looked up the page on LM and on blog talk but couldn't find the button used to log into the chat room can anyone tell me where to find it? I'm no expert, but as far as i know there is no "button" to click to get into the Blog Talk Radio chat room. When the show is live, there is a wide open scrolling chat room toward the bottom of the page. It opens about 10 minutes before the show starts and generally runs about half an hour after the show ends. Directly below the chat room is a box for typing your chat message into. You then click Send and it posts. I have several different ways to login to The Show. It was not you today Forestroots... because each week I am in the chat 10 minutes (ish) prior to Showtime to welcome everyone. Today, it was almost 10 minutes after the Show--when I could login even though I was there!!!. I typically go into my yahoo account. I also have facebook (which is how I finally got in today but I had to accept something--I still do not know what I did; all I cared about was getting there) There is also a notification that goes out through the class (which is also yahoo). You create a "login" with Blog Talk Radio with either your email or facebook. You can sign up for email notifications (again this is how I get in) each Sunday Nagasiva posts reminder about an hour before Showtime to facebook, the course yahoo group and the forum. Sometimes the chat will not load for me and I have to refresh the entire page to get it to show up...especially if I have had the page up and I have signed in before the show starts. I have attempted to make a blog talk radio account, however it will not allow me to do so without making a radio show. I have no desire to have a radio show and I do not have facebook. Does anyone know how to make a user account and not a radio host account? Joseph is very good about "clarity issues", links and tech issues. Forest_Roots wrote: I have attempted to make a blog talk radio account, however it will not allow me to do so without making a radio show. I have no desire to have a radio show and I do not have facebook. Does anyone know how to make a user account and not a radio host account? It takes about five minutes to start a free Twitter account. Twitter is the least annoying, and you don't have to read it or post to it or do anything with it unless you want to. I will make a twitter account then if that is the easiest way. Thanks everyone talk to you on Sunday! I have signed in through my email in yahoo.com for a while with the Show reminders. In addition to Nagasiva's post, once you have registered through BTR you can select to have a Show reminder sent from BTR as well (another option). I can only recall going through my facebook account a hand full of times, but it did and does work. Miss Michaele is right. Hope to see you in chat this Sunday! Forest_Roots wrote: I will make a twitter account then if that is the easiest way. Thanks everyone talk to you on Sunday! I suggest you select "Forest_Roots" or similar as your Twitter username, so we can recognize you at once when you arrive in the chatroom. Apparently this is some sort of blogtalk issue. A number of complaints in their support forum. Hey Miraclesinlove . You did not do anything wrong. I had technical issues and was not in the chat. It is a live show, and the show has to go on even if "I am flying a plane blindfolded". Thankfully our Board Op, Nagasiva was able to auto pilot and save the day again! Cut, copy and paste your post into this week's thread please . Google Chrome seems to work well with the BTR chat, just an fyi to everyone. Thanks to my technical friends for pointing this out to me! Hi, Does anyone know if it possible to go back and see the chat comments from a previous show? I was on the show last night but not in the chat room. Miss Cat commented during my reading that Madame Nadia threw some Lenormand cards and I’m curious to know what those cards were. Or, if anyone remembers the comments from Madame Nadia, would you kindly pass it on? Thanks! nagasiva or any mod, is it possible to get chat logs? I would really like to see what was said in chat during my reading as i wanted to focus on the call so i left my computer for a quieter area. I'd really appreciate any assistance with this. Maybe another moderator knows and can lead you to the right direction. But, I just don't think there is. Thanks Miss aida. was really hoping there was since ive been in teh chat a few times and its been mentioned that chat transcripts are saved. anyway thank you for responding. I am really not technically saavy - where do I find the form mentioned on the radio show on these forums (for questions on the radio show)? My apologies, I am still learning how to use this type of format. Hi - I was listening tonight, and that chat would not load. I use FF but I did try IE as well. Are they still having chat module problems does anyone know? I searched google and the BTR site and found nothing. It's a little frustrating as I am a little shy and typing would be a little easier for me to ease into it. I may just try to delete my account and try again through Facebook. I haven't heard of any problems. I hope this is the right place to post this request. 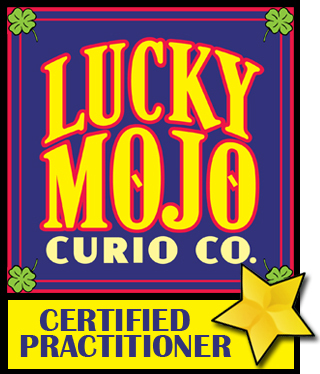 I am looking for a Free Spell given out by Dr. E on Lucky Mojo Hoodoo Rootwork Hour. I've searched throughout the archives but i've been unable to find it. It was a spell for a gym mojo using a red bandana. My question is, where do we go to access prior chat room convo's? I try to take notes and know that sometimes I miss something; since the chat room has the convo along with all the extras... it sounds like a real gem! =) Would you be able to direct me? Today, listening to LMCC Hoodoo Rootwork Hour was a very frustrating experience because of the chat room disappearing and reappearing, the video commercials being blasted on the sidebar of BTR and being unable to mute them because there was no toolbar underneath to even find the sound icon. I think I also saw that some other people were having problems with the chat room also. I read some previous posts giving advice about logging in with other social media platforms. I logged in with Facebook, but I think I will try Twitter next week instead. I just wanted to give some feedback on the problems I was experiencing. If I keep having problems, I may just listen via my landline phone and read the chat room log at another time. I don't really know if there are solutions to solve these problems, but thank you for letting me vent my frustrations. Hello I am trying to be a caller on the show can someone please help me? I posted Friday in the forum to sign up but I think I did something wrong. Is there going to be a show tomorrow, August 7? Yes -- it happened! We do a show every Sunday, unless it is announced that it will be a rebroadcast.